It's remained so cold that the trees are still weighed down with snow. Temperatures have stubbornly remained low since our snow storm, causing Reg to forego his daily bike ride and making me think twice about my morning walk. 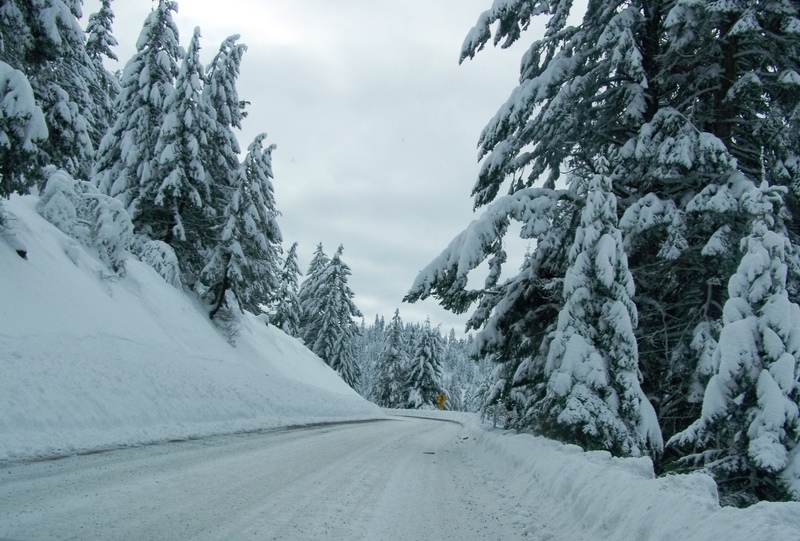 The roads however, are mostly clear, so we decided to give the Subaru a little workout. Our lunch destination, Green Springs Inn, is just twenty miles from home, but as we climbed above the valley we quickly entered another world. 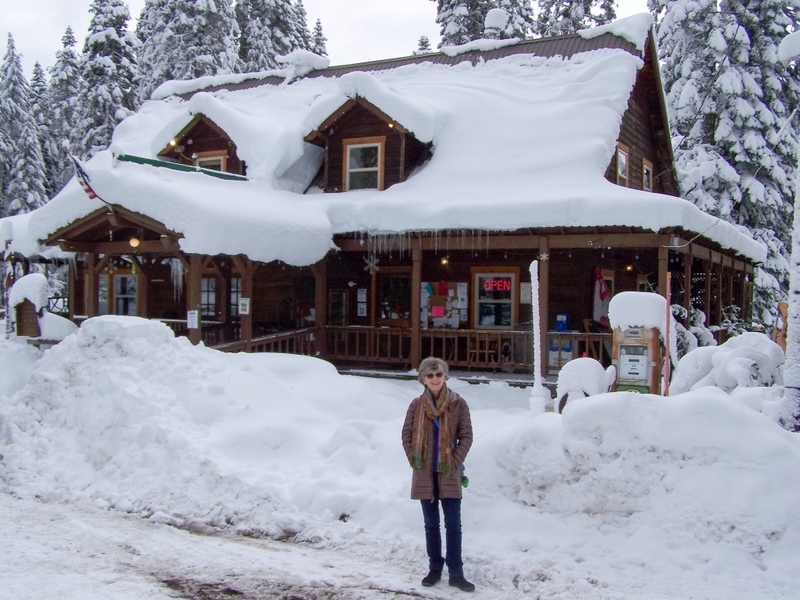 Besides a handful of locals and a young man hoping to catch a ride to Klamath Falls, we were the only diners. 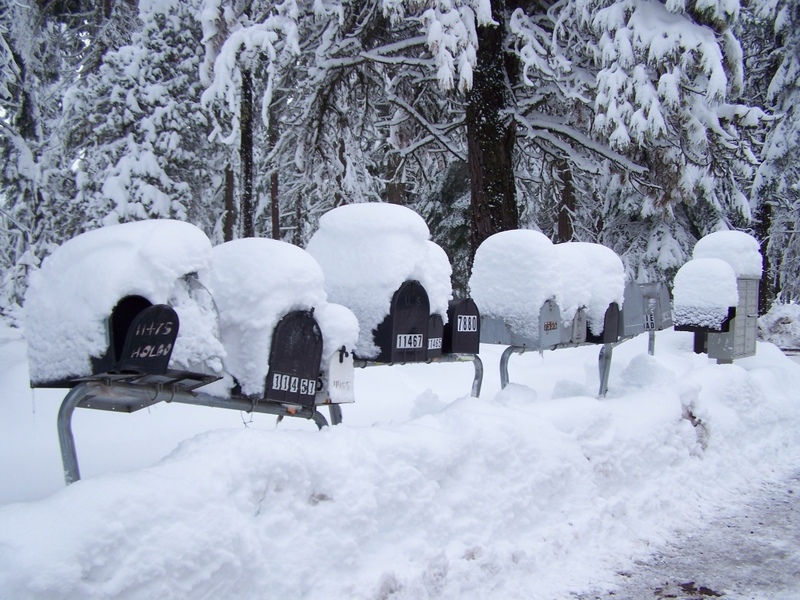 Mailboxes looked like igloos lined up along the road. The Marionberry Pie was irresistible. Oregon is known for its Marionberry, the most common type of blackberry produced in the state. Restaurants and farmers markets offer a variety of Marionberry jams and baked goods…if you're lucky enough to order before they sell out. Which brings me to the best part of our lunch (although the food was great too). Reg wouldn't share dessert, so I had to order my own piece of pie…oh darn! It was delicious and yes, I ate it all! I remember eating with you at the Green Springs Inn on a warm, sunny day. It was delicious but I do not think we had any pie-yikes. We better go back. We should have had pie! That deck we sat out on is under two and a half feet of snow. Looks beautiful & delicious! 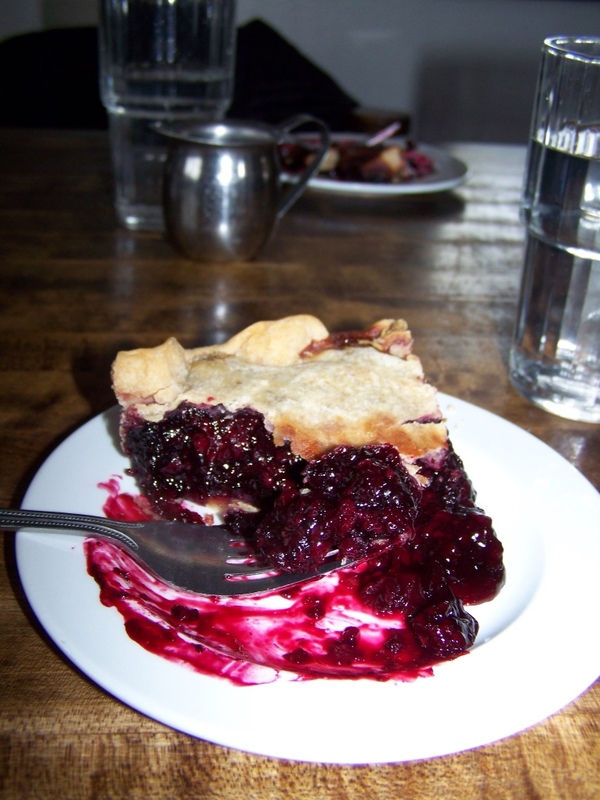 Reminds of the great boysenberry pie at the Tioga Pass Lodge! We all loved that. Looks like you are enjoying your new area a lot! A little colder than we expected up here, but it is beautiful!